The Asian film and television industry has seen strong growth, rising prominence, and international recognition of its talent and content. The newly-formed Singapore’s Info-communications Media Development Authority (IMDA) was established to keep pace with the growth in Asia and the rest of the world, further harnessing the opportunities arising from media convergence to spur new innovations in the media technology. 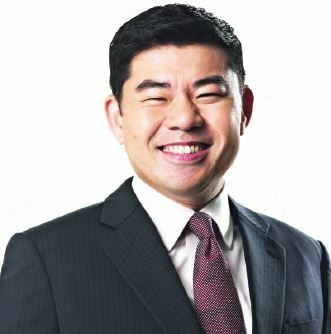 Reputations are hard won and easily lost in the business world, yet many would argue that IMDA’s CEO Gabriel Lim has already achieved quasi-legendary status. Gabriel took over as Chief of MDA in 2015. By the end of 2016, he has amicably merged the info-communications and media arms of the country. IMDA’s Chief, Gabriel Lim, spells out his mantra for the industry as he tells K. Dass why the convergence was crucial and the opportunities ahead. Gabriel: IMDA was set up to drive this notion of convergence. By convergence we mean the amalgamation of Infocomm and Media – it’s a new and exciting way for many Infocomm companies. They now recognise how important the media or content, in general, is for branding and building more loyal customers and for differentiating themselves in a very crowded and competitive marketplace. Everybody understands the potential of going digital and for IMDA; I think having an agency dedicated to looking into this area of convergence has its purpose. As far as industry development plans are a concern, we certainly have strategies to proliferate this sector. There are several key thrusts in this – we are going to assist our people in ways of skills – learn new skills and deepen existing ones. More importantly, we need to work with leading partners around the world so that we can eventually raise the game of our local talent, and get to that level themselves. I certainly see lots of opportunities because we have talented people. Many of our producers, directors and writers have earned global recognition. I believe we have a strong foundation to build on with a very talented group of people. We will also visit organisations to assist them in seizing opportunities. Several programmes are already being lined up, including one with Discovery Networks Asia-Pacific. The partnership with Discovery is designed to up-skill and co-create content with emerging and established production companies in Singapore using the most advanced techniques and technologies including 4K and Virtual Reality (VR). The idea really is not the technology or the platform, but to nurture new and upcoming producers and the opportunity to work with a world-class organisation. Our focus remains on developing our Singapore core while working with world-class companies. We’ve done this with Maker, FOX, HBO, Unity, Brand New Media and more. When the foreign talents are here, they bring their global heads and we want to continue these partnerships. Our message to them is: Singapore is a great place for production and a great place for many other works. Asia’s Got Talent, Season 1 was filmed at Pinewood Iskandar Malaysia Studios, with the finals and semifinals shot in Singapore. There’s a great synergy that can be replicated in the future because we are reliable. To defray some cost and enjoy a bigger space, Batam Island is a close option, Johor is just across the road and Singapore can be the main hub. Sounds good, but where do you start development? Gabriel: We are helping to develop talent and competence in a sustainable manner. First and foremost, the sector must demonstrate excitement. Only then will talents be attracted and see a future. We need to create avenues for those with passion and talent. Then there’ll be the dedication to own their craft and grow. Media is not really science, it is arts-driven. There are ways to enhance skills, to be able to give our talent a deeper understanding by exposing them to the international partnerships and they can benchmark for themselves. We have various programmes such as the Talent Assistance scheme, where they can apply for overseas apprenticeships. Do you have a bigger budget for the initiatives? Gabriel: Over the last few years, we have been announcing the budget. But our focus has shifted rightly to areas where we can really build the capabilities and talents. We will soon be launching the PIXEL Studios, which is a physical space for digital content creators to come as a community. They can learn from each other and experts around the world, and to be able to perfect their crafts. The space is for everyone including business owners because if you have a successful digital channel, you are actually in business. Advertising will provide the revenue and there are ways to attract and engage your fan base.